Heading into Super Bowl LIII, you may have believed the biggest rivalry was between the Patriots and the Rams. Yet, many eyes were on a decades-long matchup. That is the one of giants Cola-Cola and Pepsi, both eternally vying to be the cola of choice. Atlanta, Georgia, where the 2019 festivities were held, is home to The Coca-Cola Company. In fact, the company’s namesake was developed and first sold in the city more than 130 years ago. “Coke” does not sponsor the NFL, while Pepsi has a longstanding relationship. So, it put many residents and Coke fans on edge, watching the brand’s number one rival not only come to town, but to quite literally paint it Pepsi blue. Still, Pepsi seemed grateful, perhaps tongue-in-cheek, for the chance to be on Coke’s home turf. It even appeared to extend an olive branch for its time there by giving back to the Atlanta community. This was for every “tweet” that used the hashtags #ColaTruce and #Share2Donate. It was a smart move to appease those unhappy with Pepsi’s presence, while the brand took advantage of the rare opportunity this Super Bowl offered. And, the opportunity was significant, with more than one million people expected to descend on downtown Atlanta for the event’s festivities. Several other clever brands were also on-site. And, like Pepsi, many of their Super Bowl brand activations combined culture and sports. In the end, it was sports marketing events that won over football fans. An Adweek article explains one way Pepsi’s marketing has been effective in recent years. It’s the brand’s move to use campaigns in conjunction with advertisements to tell a complete story. Specifically, it cites “engaging on-the-ground experiences and locally relevant market-specific executions.” It’s these, Adweek says, that “can strike a major chord in culture” and make a brand part of “the cultural conversation.” Here are a few that found this type of success in their Super Bowl brand activations – and how. Adidas and Olay show love to minority audiences. The timing, the location, and the big event gave Adidas the perfect forum to build on what it’s been telling people all along. That “Impossible is Nothing” and “Adidas is All In.” While the famous footwear brand’s slogans may now center around creativity, it’s getting more creative in the ways it goes all in to help those for whom reaching goals may seem impossible. Namely, Adidas chose to kick off its Super Bowl presence at The National Center for Civil and Human Rights. Instead of showing off product, the brand hosted panels on inclusivity, for such groups as LGBT and women, in professional sports. Ford and Sleep Number use event tech to provide a memorable experience. Technology has a significant impact on culture. And, experts of Stanford University’s Virtual Human Interaction Lab say virtual reality is changing how we think and live, giving us “great freedom” and increasing “self-efficacy.” Virtual reality allows our minds “to wander” to other places, living out things we’ve always enjoyed – “daydreaming, imagination, and entertainment.” Ford understands the power of VR to provide a multi-sensory experience and leave a lasting impression of the brand and its vehicles. That’s why, at Super Bowl LIVE, it activated the “Built Ford Tough VR Drive-In.” From here, with a pair of VR goggles, guests could virtually drive one of three Ford vehicles from their selected U.S. location to Atlanta for the big event. Other Super Bowl brand activations that used virtual reality included Sleep Number’s Quarterback Challenge. After brand ambassadors signed in participants via iPad, they put on a headset, participants saw how sleep (or lack thereof) might affect their throw. 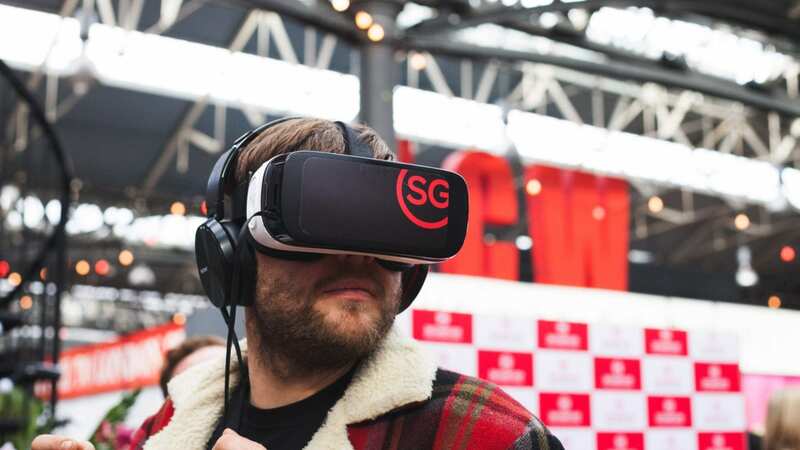 The brands’ VR applications were diverse and used guests’ love for the game to add value to their experience. SunTrust Bank and DirecTV cater to the whole family. Millennials may not make up the largest group of Super Bowl attendees. Younger Baby Boomers and older Gen X are those taking up the biggest chunk of the audience. But, if they were to get the “excitement (they) crave” from the Super Bowl experience, per a new survey, that could change. Millennials are known for their love of experience. They also put high priority on their kids, with today’s fathers spending triple the time on childcare than those 50 years ago. And, 44% are taking them on vacations. This makes it critical to capture the attention of these future football fans in offering exciting, family-friendly events. And, that’s what SunTrust Bank, headquartered in Atlanta and serving the southeast, did. 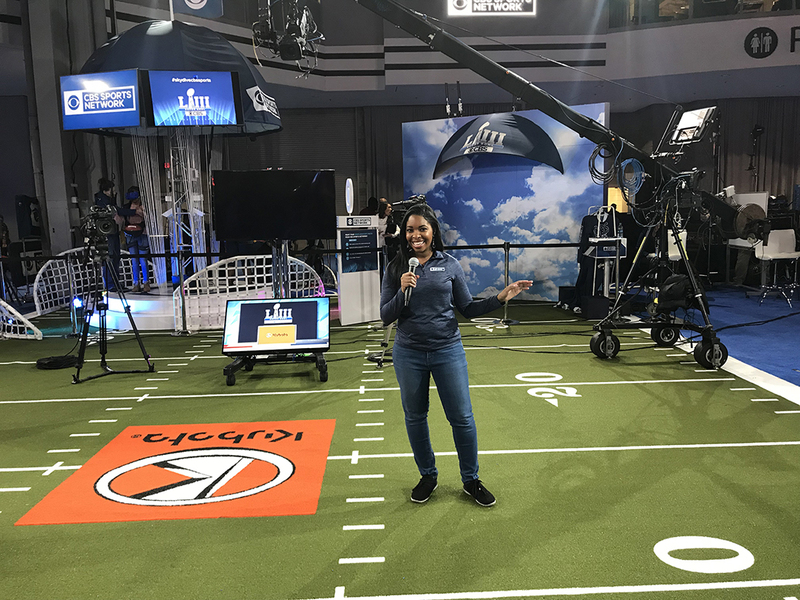 At its “SunTrust Confidence Classic,” guests could take part in games, win prizes, get autographs, and, per Chief Marketer, enjoy “interactive experiences like testing skills as a quarterback.” The brand engaged augmented reality to animate a football-themed mural using Snapchat. This tied in social media to expand the brand’s reach via those people sharing their experience online. DirecTV was another brand that drew in people of all ages with its Super Bowl activation. It used a human claw game, which harnessed participants and hung them over a pool of stuffed bears. Their friends and loved ones below moved them around the area using a joystick before dropping them into the bears to search for prizes. Other regular-sized arcade games lined the areas, providing a fun spot for families to come together and elevating their overall experience. At Elevate, we have the event staff and brand ambassadors you need to be at the top of your game. Trust us to take your sports marketing events to another level.